First of all, don’t worry – this blog is not turning in to a celebrity news site. But the news of David Bowie’s passing is a story not so much about a celebrity. Instead it is one of the more amazing stories I have ever heard of a cancer patient beating cancer that should be inspirational to many in the cancer world. David Bowie holds a special place in my heart, as I just mentioned in my post a few weeks ago WORLD IN MY EYES (FAVORITE POSTS OF 2015), the very first album (cassette) I bought – in 5th grade – before becoming a lifelong music collector was by David Bowie. It is fitting that he continues to hold a special place in my heart by the way he died, as announced today. There are many ways to beat cancer – beyond just the obvious one of being medically cured. Unfortunately in the range of diagnoses, a medical cure is not always possible. That opens up other ways to beat cancer. 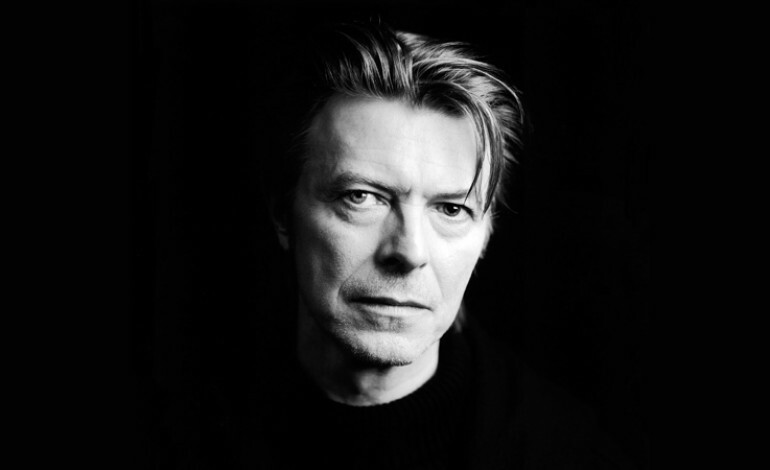 David Bowie is one of the best examples I have ever seen of another way to beat cancer. David Bowie was a consummate artist. He was not simply a musician. His entire life was a work of art. Not only in his artistic creations but in his day-to-day living. It was impossible to know where the art ended and his personal life began – because they were one and the same. He kept his 18-month battle with cancer a secret. Just 4 days ago he released his final video on his 69th birthday. Was the video timed (as the entire world thought) to celebrate another year of life? No it was timed for his personally known impending death. The consummate artist was as always a step ahead of the rest of the world. Regardless of whether you are a fan of David Bowie’s music or not – this is an incredible act of beating cancer. David Bowie used his cancer as a creative force channeled through his lifelong artistic vision. He turned his death from cancer into yet another work of art, to spring onto an unsuspecting world like so many of his other career milestones throughout his life. David Bowie’s career was one of constant reinvention, often in surprising and unsuspected ways. This final transformation to the afterlife was his final signature artistic event. An artist dying on his own terms, in a way that celebrated his own unique vision of life. It was the furthest thing from being “beaten by cancer”. Not all of us cancer survivors are international music superstars. But we can take inspiration from David Bowie. I hope as many of us as possible can be medically cured. For those that can’t, we can beat cancer in many other ways. By not allowing it to negatively change us. To keep living the best life we can, on our own terms, for as physically long as we can. The consummate artist has shown a path to beating cancer. Although I am trying my hardest to be medically cured, if needed, his is an alternative path that I for one am also trying my hardest to follow. Tom, As always you write eloquently! What an inspiring way to look at his cancer. He was simply amazing, and I thank you for your tribute to him, but also your continued commitment to helping us all understand the cancer breast! Thank you! Beautiful post, Tom. I am having the most surreal day I think I’ve ever had. I was immediately devastated when I heard the news, then I realized David Bowie lived one of the most incredible lives ever, clearly on his terms, and he moved on in the same way. A truly amazing soul. I will miss him. Yet again, he’s managed to influence me. Incredible post, Tom, thank you. Thank you for your post, Tom. You are also a way “to keep living the best life we can”, as you said. I believe you are doing just that, Tom, through your blog and your other interactions with folks and your advocacy. Bowie has indeed given us much to respect and admire. This last act is especially inspirational. Yep. I agree if anyone ever says I lost a battle I am coming back and haunting them for all time. Really 5th grade. Making me feel old Tom. But that is a good thing. You are both inspirations to those fighting cancer. Thank you for your Tribute to Bowie. His musical influence will live long after his death. I love how you address the fact that people are ignorantly saying that he ”lost his battle” with cancer. I have strong issues with this phrase being used for anyone but here more so than ever. He most defiantly did not loose his battle with cancer he simply won at life. I shared your post as much as I could in the breast cancer commuity and they loved it also. Yes, yes, yes! I was recently dx’ed with Stage IV cance. The one surefire way to cheat death is to make the most out of whatever time you have left. I’m from the metastatic breast cancer world. I love your blog and your view of life. Thank you for keeping it optimistic. It IS how you live that’s important. Pingback: Cancer Survivors: Are They Heroes?